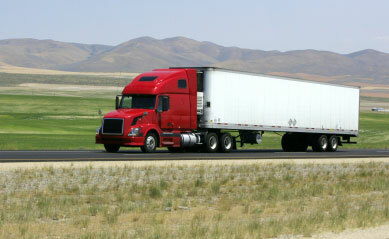 Savings on workers' comp insurance for the trucking industry. Plus, pay-as-you go plans - with no annual audits. Payroll outsourcing to unload the burdens of tax reporting and a variety easy payment options to employees. HR help for hiring compliance, D.O.T. employee files, annual MVR reviews and more. Group healthcare and other employee benefit options. One streamlined source for everything employment related. How Much Do PEO Services Cost? For starters, think of it as hiring a group of people to manage all your employee related issues, but paying less than it would cost for one person. An employee leasing company's administrative fees run between 2% - 4% of your annual payroll on average. For example, a transportation business with 15 employees and a $500k annual payroll, would pay $15k at 3%. As you can imagine, the difference in costs is based on the amount of work performed. If employee benefits are involved, with reporting of ACA compliance documents, COBRA administration, 401k management, etc - all will have an affect on pricing structures. But even at 4% - it's impossible to find a professional to manage payroll, risk management and all these tasks for $20k a year. Pretty simple really. You continue to hire and terminate as needed, while running the day to day operations. The PEO company is your "back office" partner, managing employment administrative functions - work that doesn't generate income for the business. Why Choose Employee Leasing Quotes? Since 2001, ELQ has made finding the perfect logistics PEO service fast and easy. Out of thousands of trucking PEO, ASO and HR services, only a few truly understand the unique needs in the transportation industry. Give us a call, ask questions and get answers that make sense. We've done the research and the vetting for you - that's all we do! Our success depends on yours and you'll see that we're here to help.